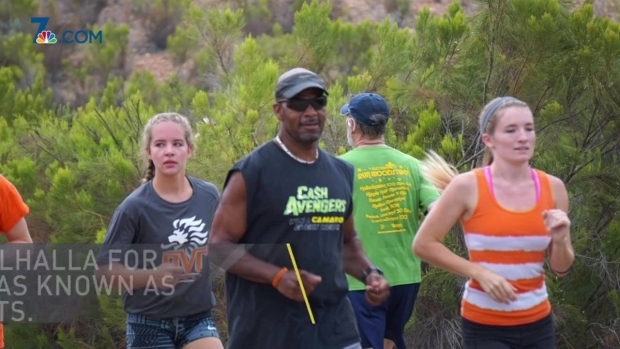 Students and staff at Valhalla High School in El Cajon paid tribute to their beloved track coach Saturday by running a "miracle mile" in his honor. Carter Yarborough, 48, coached track and cross country at the school for more than 15 years. 16 students wore their orange cross country jerseys Wednesday to remember their favorite coach. After paying tribute to their late coach with their feet, his team did it once more with their hands and hearts. Yarborough's runners handwrote several letters to him, explaining just how fast he made them feel. Yarborough's family was on hand to witness the heartfelt tribute. "This helps but sometimes this makes me a little sad because Carter was well-liked," Yarborough's mother Wanda Yarborough-Puckett said. "This kind of makes me sad because it's hard for me to share all the happiness that he's done for everybody else." 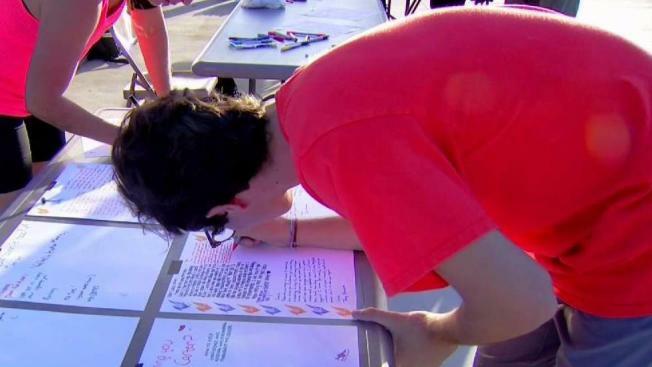 Some of his team also gathered Wednesday on campus in their orange cross country jerseys to pay their respects.